Mon., Oct. 22, 2018, 6:42 p.m.
PULLMAN – Best division in college football? The Pac-12 North has unquestionably made its case through the first seven weeks, even if it isn’t the most likely to ship somebody to the four-team College Football Playoff at the end of the regular season. Among the Power Five conferences, the Pac-12 North is the only division with four teams currently ranked in the weekly Associated Press Top 25 poll. When the rankings were released Sunday, Washington State (6-1, 3-1) came in at No. 14, Washington (6-2, 4-1) at No. 15, Oregon (5-2, 3-2) at No. 19 and Stanford (5-2, 3-1) at No. 24. The SEC East and West are each on the cusp, with three Top 25 teams, as is the Big Ten East, with Michigan, Ohio State and Penn State all ranked. The Big-12, which isn’t split into divisions, has three of its 12 teams ranked, while the ACC has two. The Pac-12 South gives the conference a sixth ranked team, with No. 23 Utah forging its way back into the rankings after beating USC. 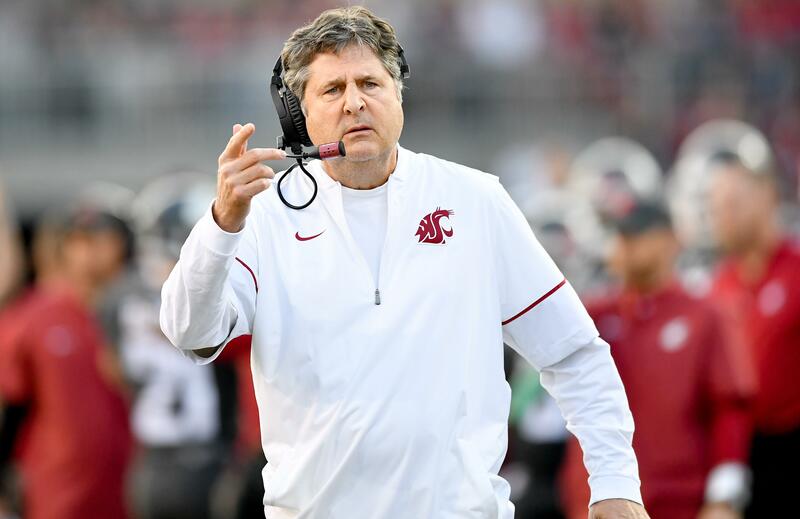 WSU coach Mike Leach was asked about the North’s success to this point during a Monday news conference, and why the division hasn’t received more national praise. Five of the top six teams in the North still have records better than .500 and the division as a whole sports a record of 27-16. As things stand right now, the Pac-12 would seem to be on the outside looking in when it comes to sending a team to the CFP, which has taken just two Pac-12 teams in its four-year history. There are still four unbeaten teams in the top 10 of the AP Top 25 and the other six teams have just one loss. WSU is the top-ranked Pac-12 team in the AP poll – something that hasn’t happened since 2002, the same year as the Cougars’ last Rose Bowl appearance – and now appears to be the league’s best shot at earning a third playoff berth. Oregon earned a trip to the semifinal in 2014 and Washington went in 2016. Currently, every other team in the Pac-12 is sitting with two losses through the first seven weeks. Leach suggests teams in other conferences aren’t tested week-in, week-out like they are in the Pac-12. It’s possible, although records against other Power Five teams of late don’t favor the Pac-12. The conference is just 3-6 against the SEC, ACC, Big Ten, Big-12 and Notre Dame this season and it’s coming off a horrendous bowl season in which the Pac-12 went 1-8, losing to seven different P-5 teams and Boise State. Published: Oct. 22, 2018, 6:42 p.m.